New York, NY – March 29, 2018 – Luther “UNCLE LUKE” Campbell is pleased to announce that the documentary: RIVALS BOOM SQUAD based on his Liberty City Optimist youth football league on Viceland’s Vice World of Sports has been nominated for the “Outstanding Long Sports Documentary” for the 39th Annual Sports Emmy® Awards. The Sports Emmy Awards show will take place on May 8th at Jazz at Lincoln Center’s Frederic P. Rose Hall. “Not in my wildest dreams would I ever think one of my projects would have been selected for a Sports Emmy AwardsÒ nomination. Boom Squad… is first project I’ve worked on for television and the nomination is amazing. It’s a symbol of rebirth to me,” says Campbell. He continues, “What’s even more amazing is that the documentary has already spawned the first project from Luke Films, our docu-series on STARZ called Warriors of Liberty City. The best is yet to come,” exclaims Campbell. Off to an amazing start as a television and film producer, the music industry trailblazer is taking television and film by storm with his new entity, Luke Films, which is in the process of developing several small and big screen projects while the biopic of his life story is being written for feature film release with Lions Gate. 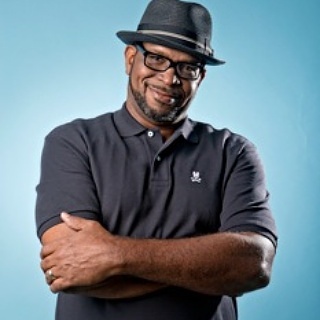 Luther “Uncle Luke” Campbell is a businessman, community activist, author, television personality and producers, radio host, artist and was the first Southern rapper to appear on Billboard’s Pop charts. In addition, he was the first music business exec to start a true independent rap record label. Where he owned his own distribution company along with a warehouse. Known as the “Godfather of Southern Hip Hop,” it was Luther Campbell who was the first in the music industry to take the responsibility of providing “parental advisory” stickers, self-censoring his own product to help to ensure his music was only bought by those of a certain age. Soon thereafter, the entire music industry made it mandatory for elicit material to provide advisory stickers. Being honored by the Rock & Roll Hall of Fame, as a member of the 2 Live Crew and fighting the good fight all the way to the Supreme Court to ensure freedom of speech with the creation of parodies in recorded material – and won. Campbell’s endless philanthropic efforts have given to refugees on the shores of Miami and those less fortunate than himself. Campbell is also a sports radio host, and long-time columnist for the Miami New. Campbell is currently in the process of producing a biopic on his life with Lions Gate as well as several other television projects including the Warriors of Liberty City on STARZ. For more information, please contact: TreMedia: Tresa Sanders or Kelli Davis @ 646 553 5203 or via email at tresa@tre-media.net and Kelli@tre-media.net respectively.